Happy Teacher Appreciation Day from Fox’s! Thank you teachers for all you do for our community! Your contributions do not go unnoticed, and we hope you enjoy the Fox’s thank you gift cards that you should be receiving our your mailboxes at school! We are happy to partner with area schools as your programs fit, and look forward to serving your needs in the future! Keep Fox’s in mind for end of year school pizza party needs. We’ll have exclusive deals in support of your classes! Provide delicious Fox’s Pizza for your class at a great value. 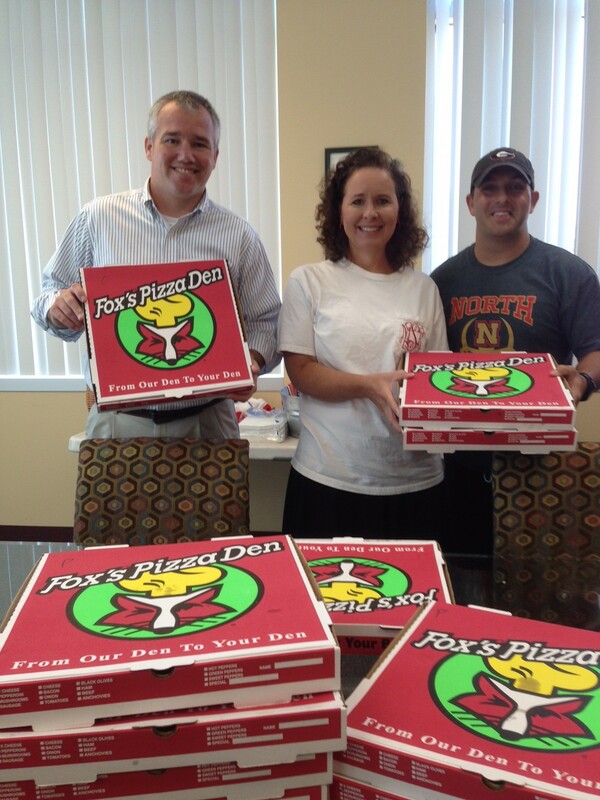 Fox’s 30″ “Biggest Pizza in Town” is the perfect party pizza, and normally just enough to feed your hungry class! We look forward to serving you soon.